Motoring show pulled from Sunday night schedule as BBC investigates incident involving controversial presenter. The BBC has suspended Top Gear host Jeremy Clarkson “following a fracas” with a producer. The motoring show has been pulled from Sunday night’s schedule as the corporation investigates the incident. Clarkson was put on what was called his final warning last year following a racism row after claims that he used the N-word while reciting the nursery rhyme Eeny, Meeny, Miny Moe during filming of the BBC2 programme. A BBC spokeswoman said: “Following a fracas with a BBC producer, Jeremy Clarkson has been suspended pending an investigation. Pulling the show will have potentially huge consequences for the BBC. Top Gear is one of the BBC’s most valuable properties, making more than £150m in revenue for the broadcaster’s commercial arm, BBC Worldwide. It is also BBC2’s most popular show, watched by more than 5 million viewers on a Sunday night. This Sunday’s episode was set to feature the trio – Clarkson with Richard Hammond and James May – getting to grips with classic cars such as a Fiat 124 Spider, an MGB GT and a Peugeot 304 Cabriolet. They were set to take to the road and end up at a classic track day, while Gary Lineker was the “star in a reasonably priced car”. In recent years Clarkson has been cleared of breaching the broadcasting code by watchdog Ofcom after comparing a Japanese car to people with growths on their faces. He previously faced a storm of protest from mental health charities after he branded people who throw themselves under trains as “selfish” and was forced to apologise for telling BBC1’s The One Show that striking workers should be shot. 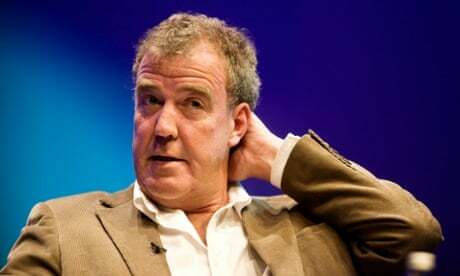 Clarkson was saved from disciplinary action over his use of the N-word in an incident last year only by the intervention of BBC director general Tony Hall. The presenter used his Sun column to say he had been given a final warning after footage of him mumbling the N-word during the rhyme ‘Eeny, meeny, miny moe’ in a Top Gear outtake was leaked. The BBC’s director of television Danny Cohen wanted to take some form of disciplinary action over the incident, which could have ranged from a suspension to terminating his contract. But Hall stepped in and made the final decision on Clarkson’s fate, ruling that the presenter should be given a reprieve and a final warning. Clarkson posted a video apologising for his actions, claiming he “did everything in [his] power to not use that word”. The hit series has been dogged by rows over racism and sparked a near-riot while filming in Argentina, but he defended the motoring show as offering “a different voice” to viewers. 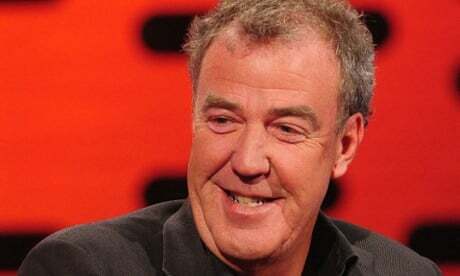 Last year, the show was censured by Ofcom for breaching broadcasting rules after Clarkson used a “racial” term during the programme’s Burma special, which had aired in March last year. The year ended with the Top Gear crew forced to flee Argentina after trouble erupted when it emerged they were using a Porsche with the registration number H982 FKL, which some people suggested could refer to the Falklands conflict of 1982. But each episode in the two-part Christmas special attracted more than 7 million viewers last year, with a further three million for each episode on iPlayer. Top Gear’s executive producer Andy Wilman described last year as “an annus horribilis” for the show after the claims of racism and the near-riot in Argentina. Last month, Clarkson became embroiled in a row with a Liverpool newspaper after it attacked him for apparently criticising the city. He had accused Liverpool Echo journalists of being “f•••ktards” after they attacked comments he had made in his Sunday Times column. » Fever » PDK MY SIZE » Nicki Minaj goes ahead with Angola show despite boycott to cancel » BBA Update: Party Hard before eviction » P-SQUARE HYPE HITS NAMIBIA! » KAMATI ESIKU FT YASHE, KAMTONYO & FELICIANO » Toasting to 2018 and to fashion with Reinhard Mahalie » Dr Dre's Apology To Women Amid Violence Claims » 21st Much Vol 6 Ours (Disc 2 Samples) » Namibian Premiere of Ayanda !